Can Terrelle Pryor build on his breakout 2016 season? 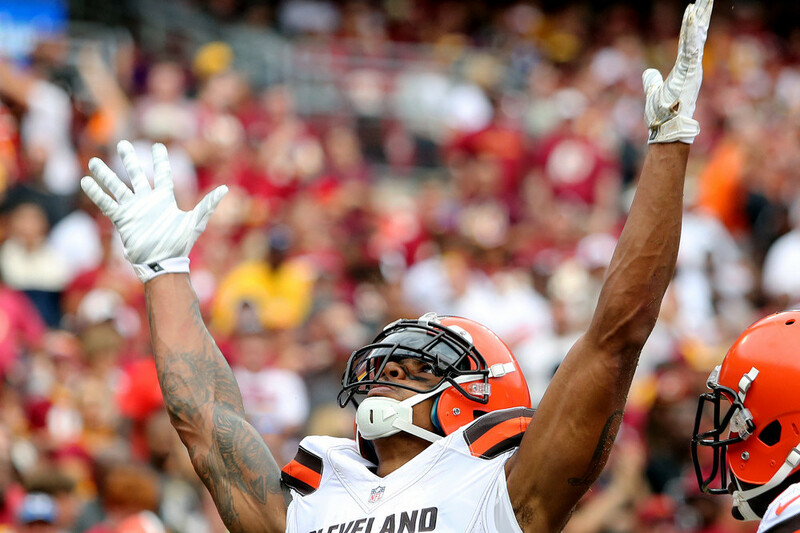 In 2016 Terrelle Pryor beat all odds and finished the year with 1,007 receiving yards in his first full season at the position. The former quarterback also finished the year with 77 receptions and 4 touchdowns on 140 targets. This offseason, he signed a 1 year, $8 million dollar contract with the Washington Redskins. 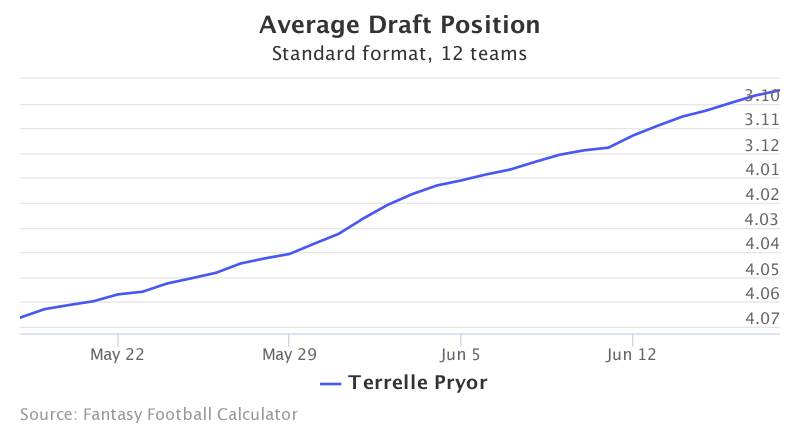 This graph below show’s Pryor’s sharp rise in fantasy football ADP over the past month. Data is from 12-team standard mock drafts. Pryor’s sharp rise in ADP is not only the result of his productive 2016 season, but also his new role in Washington. In Cleveland, he reached 1,007 yards receiving with a combination of Robert Griffin, Cody Kessler, and Josh McCown at quarterback. Now, he will move to a pass friendly offense led by Kirk Cousins. In 2016 Cousins produced two 1,000 yards receivers in DeSean Jackson and Pierre Garcon, as well as 847 yards from Jamison Crowder. Washington has since lost Jackson and Garcon to free agency along with the 214 targets they commanded. Pryor should immediately step in and compete for WR1 duties. However, though he should see a good number of the vacated targets, he is unlikely to reach the market share he saw in Cleveland. In Cleveland’s offense Pryor commanded a 25% target market share overall and a 43% share on deep passes. Washington, however, didn’t produce a receiver over 19% target market share overall and only had one receiver reach a 30% share on deep passes. It is likely that Jordan Reed, Jamison Crowder, Josh Doctson and Pryor split the targets on a weekly basis. Going at 3.11, Pryor’s ADP has crept into WR2 territory. Receivers like Davante Adams and Demaryius Thomas are now going just behind Pryor. Although he will likely see fewer targets, Pryor is a good bet to finish as a WR2 in the efficient Washington offense. This makes him a solid pick at his current ADP. However, if his ADP continues to rise it may be wise choose receivers with safer target volumes.